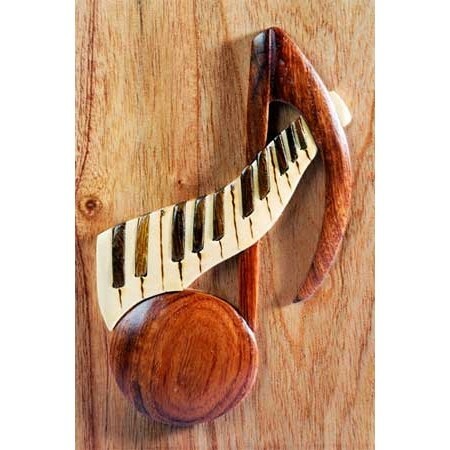 8th Note with Keyboard Wooden Box – This beautiful handmade box is a great gift idea for a musician! Made from quality wood, you can store your favorite keepsakes, jewelry and trinkets. The solidly constructed box features a large 8th Note with piano keys wrapped around it. A fun and unique item that would be perfect for a housewarming. Size: 6″ x 4″ x 3″.